The only solution available which covers all RIM business lines (i.e. vault, shred, imaging and records). Your organization has the support of an expert team with over 200 years of combined experience. The Envision Client Web software represents the next generation of destruction service technology. Provides customers the ability to perform to request destruction services, view/print certificates, access calendar and pay invoices online. 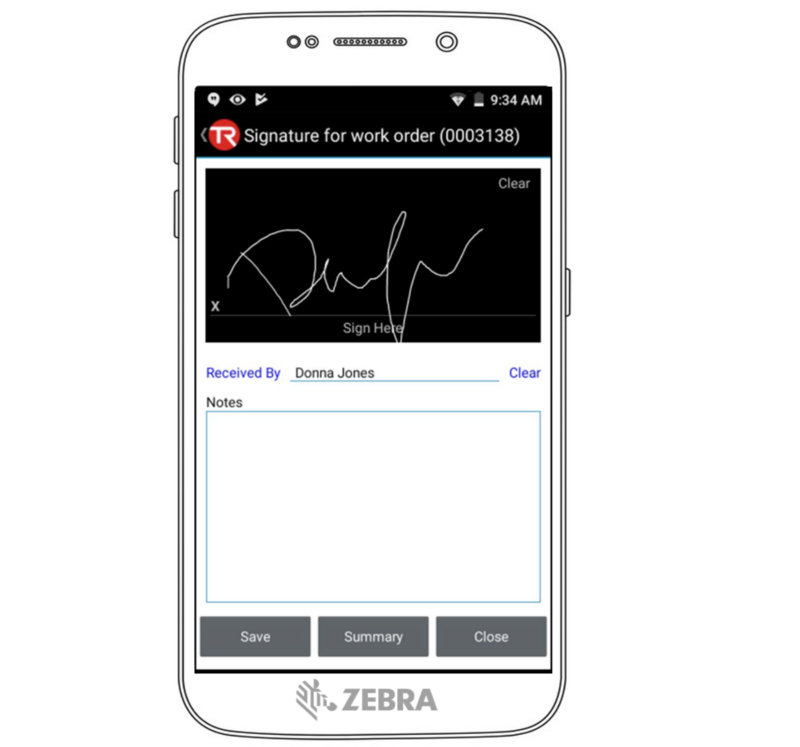 Manage full chain of custody with barcode scanning utilizing Zebra Windows or Android OS supported devices. Send and receive destruction bin service jobs wirelessly using a cell data plan. 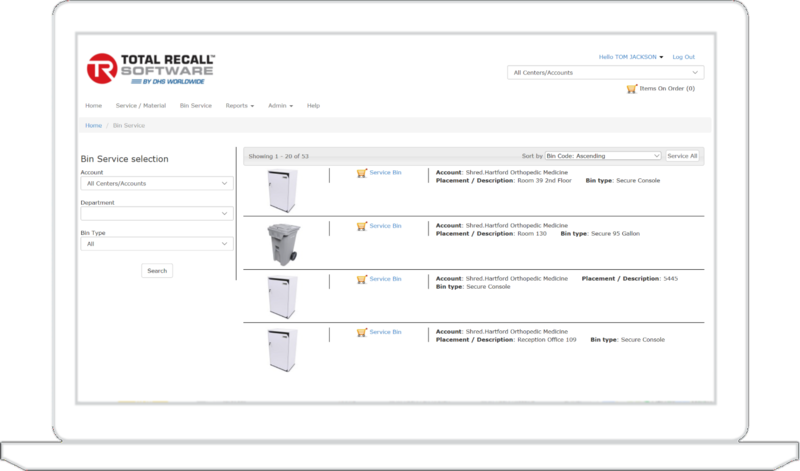 Total Recall mobile scanning application supports adding extra material and scanner HD serial numbers. Efficiently manage and view all scheduled jobs through a color coded calendar. 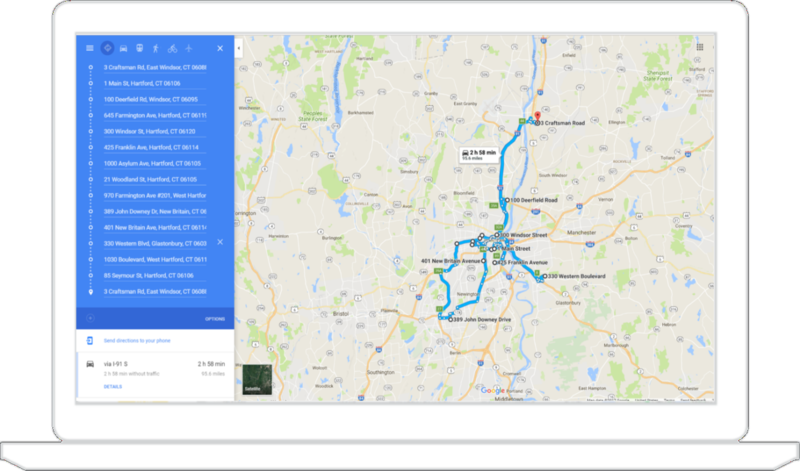 Find the best route for new customers using intuitive filters, including by route, date, city or postal code. Pre-assign and pre-sequence routes to save time and cut cost. Quality Control and User Security. Automate Recurring Services and Billing. Track Movement of All Bin Assets.